Chairmanship of Turkmenistan in the Commonwealth of Independent States in 2019 will be in accordance with the fundamental documents of the CIS and directed to consistent realization of previously adopted international agreements and decisions, supplementing of the substantive part of the agenda cooperation. Chairmanship will promote further developing and strengthening of cooperation and partnership interactions of the member states on the basis of equality, good neighborliness and mutual respect in order to attach progressive dynamics to the development of the Commonwealth, ensuring the growth of prosperity and quality of member states’ nation’s life. In 2019, the Chairing of Turkmenistan will be carried out simultaneously in the Council of the Heads of states, the Council of the heads of governments, the Council of the ministers of foreign affairs, Economic council, the Council of the permanent plenipotentiary representatives of the member states of the Commonwealth under Charter and other parts of the Commonwealth, as well as in the Commission on economic issues under the Economic council of CIS. Supporting and encouraging of wide cultural, humanitarian, scientific, educational, sports ties between the CIS countries. In the foreign policy Turkmenistan intends to actively contribute to the consolidation of security and stability on regional and interregional levels, increasing the level of mutual trust, promote peace processes and constructive dialogues for the peace and harmony, neutralization modern challenges and threats, as well as preventing risk of occurrence of conflicts. To achieve these goals Turkmenistan sees the necessity of strengthening political-diplomatic cooperation through enhancing partnership between the foreign policy departments of CIS member states, creating effective mechanisms of systemic, regular many-sided political consultations on basis of the medium-term action program in this field. 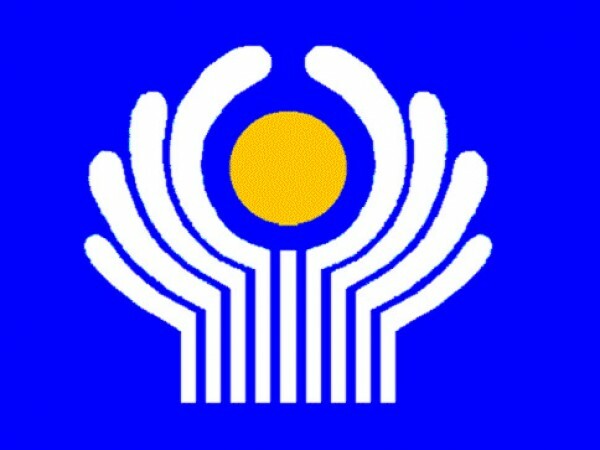 In the sphere of partnership of the CIS with the international structures,Turkmenistan will consolidate to raising the level of cooperation of the Commonwealth with the largest international organizations, first, with the United Nations Organization, its specialized agencies and institutions, the Organization for Security and Cooperation in Europe for the implementation of sustainable development goals. During the chairmanship Turkmenistan will facilitate to further increasing of international authority of the Commonwealth of Independent States, its positive role in modern global and regional processes. In the trade-economic sphere,Turkmenistan’s effort will directed to the development of new ways to joint activities, searching for perspective forms of cooperation, finding concrete fields of multilateral cooperation. Particularly, Turkmenistan will promote, relying on experience accumulated in the CIS for many years of interaction in the sphere of economy, creating effective mechanisms of partnership, allowing to develop economic ties not only in the frame of the Commonwealth, but also to bring them into the continental and international levels. Turkmenistan intends to pay special attention to the facilitating the implementation of previously adopted documents in the field of economic development of the Commonwealth of Independent States. It seems important to attract parts of industry cooperation of the Commonwealth to revitalization trade-economic cooperation, identifying concrete areas of multilateral cooperation. In addition, it is important to pay attention to the interregional cooperation. One of the priority directions of Turkmenistan as the chairman state of the CIS will be energy sphere. Turkmenistan will continue active work with the partners from the Commonwealth within the aim of establishing wide multilateral dialogue at the issues of transporting energy resources, ensuring security and reliability their supplies, the development of clear and precise principles of state activity at international energy market. Turkmenistan also considers necessary to facilitate the implementation of the concepts of cooperation of the CIS member states in the field of renewable energy. The most important aspect of cooperation of the CIS countries Turkmenistan sees the development of transport communication. In this context, Turkmenistan will focus on maximum implementation the potential, opening up before the countries of the Commonwealth in connection with implementation of a number of major transport projects. Particularly, it is about the use of the possibilities of the railway Kazakhstan- Turkmenistan - Iran in the context of optimizing traffic flows in the Eurasian space, as well as the combined (road, rail and sea) between CIS countries, given the large potential of transport communication network of the Central Asian, Caspian, Black Sea and Baltic regions in order to effectively functioning of the corridors "North - South" and "East - West." Revitalizing transport and energy projects, modern infrastructure, communication of logistic centers are an important competitive advantage of the most CIS member states. In this regard, Turkmenistan during the chairmanship, in 2019, will continue to make efforts to effective use and development of international transport corridors. Turkmenistan sees the need to strengthen work on exchanges among CIS countries in the field of science and technology cooperation and education. One of the main steps in this direction is to support and encourage contacts between scientific and research centers of Commonwealth states, the organization of joint target research, modeling know-how of projects in various industries economy, exchange of experience and training of specialists. Priority direction of Turkmenistan activities is cooperation in the educational sphere. Offered to focus the efforts of the CIS countries on the development and modernization of the educational system, including the identification of ways and coordination of actions to expand the partnership with the latest information and communication technologies. In the context of the announcement in the Commonwealth of Independent States 2019 Year, as the Year of the book will focus on the implementation cultural and educational events aimed at introducing the younger generation to fiction book publishing organizations exhibitions and promotion of the book and reading by means of visual culture. Cultural cooperation, being as an effective form of mutual rapprochement and respect between nations, will be one of the key activities of Turkmenistan in the CIS. Based on this, Turkmenistan considers it appropriate to start in 2019 to a substantive discussion of promising joint plans for preservation and promotion of the richest cultural and historical heritage of the peoples of the Commonwealth. 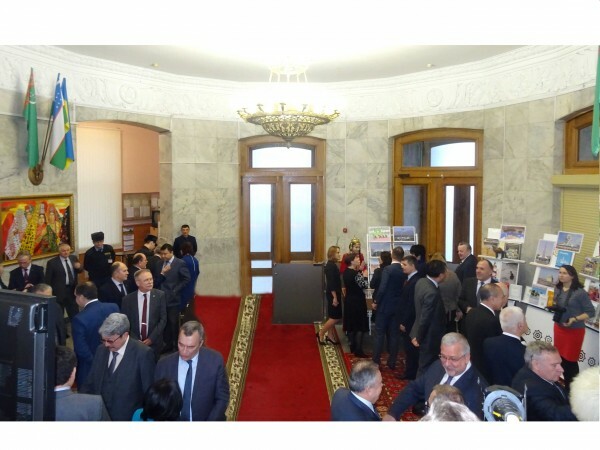 In this context, Turkmenistan intends to contribute to the further implementation of the Interstate Cultural Capitals of the Commonwealth programs. During the chairmanship, Turkmenistan plans to devote a special attention to the cooperation in the field of sports. On focus will be the implementation of the Action Plan for 2018-2020 for the implementation of the Program to support and develop national types of sports in the CIS until 2020. Events involving the Commonwealth states.